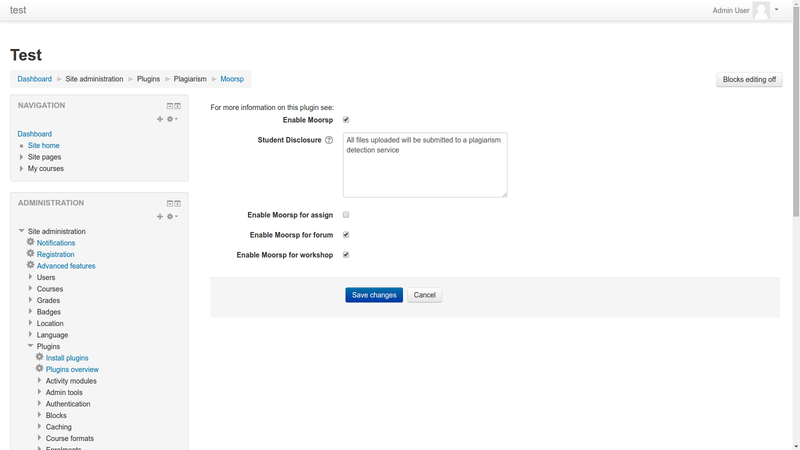 Another week in GSoC 2015 has gone by, and I’ve been busy working on the Moorsp Plugin for Moodle. My main task during the past week was to complete the functionality of the Moorsp plugin and to ensure that it checks for duplicate submissions by comparing the filehashes of uploaded files. 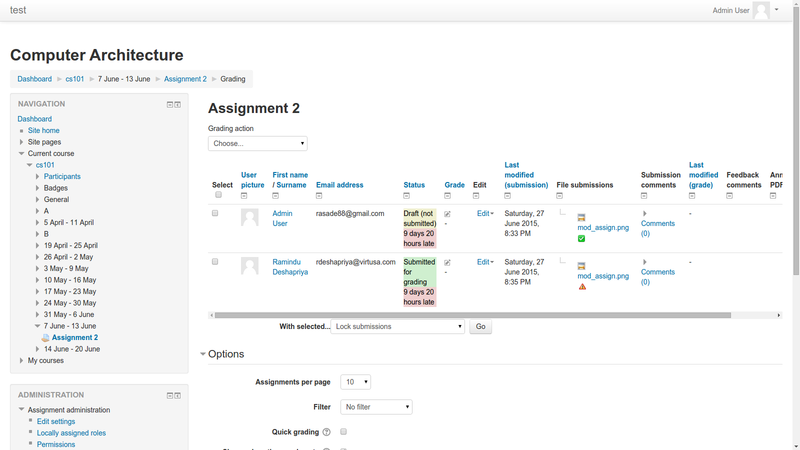 Moodle takes two forms of submissions for assignments, forums and workshops; file uploads and online text. To store online text in the plagiarism_moorsp_files table, I hash the contents of the submission and store it with content_hashvalue as the filename. The get_links() function is called, which in turn calls the get_file_results() function which carries out the actual comparison of files in the context of Moorsp. This will add a checked image to each submission as follows (green check mark for files that are not plagiarised, red warning sign for those that have been plagiarised). The next step is to start writing Unit Tests and Behat tests to provide test coverage for the Moorsp plugin.